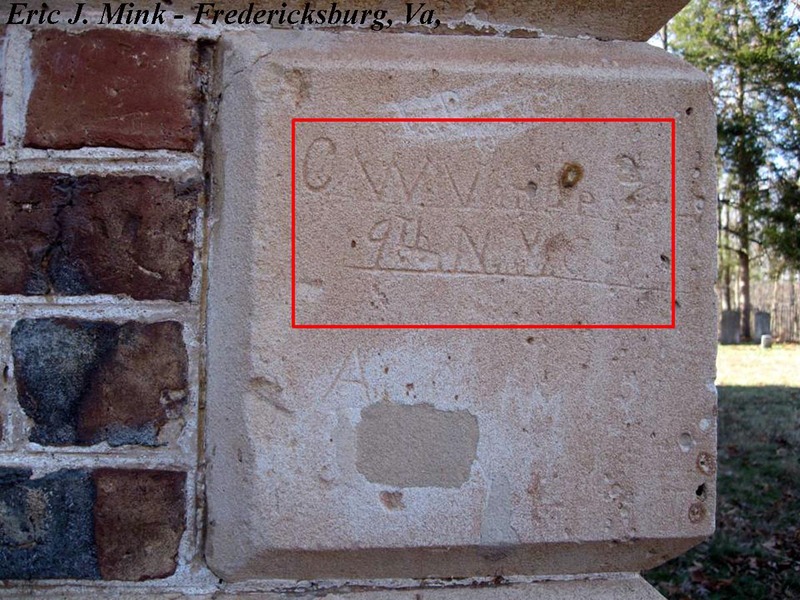 For previous posts documenting soldier graffiti in the Fredericksburg area, including Aquia Church in Stafford County, click here. The Union Army of the Potomac arrived in Stafford County in November 1862 and stayed through the following June. In excess of 120,000 Union soldiers occupied Stafford and their presence devastated farms, woodlots and forced many families to flee their homes. The camps of this massive army spread across the woods and fields of the eastern portion of the county, taking advantage of the transportation lines of the Potomac River and the Richmond, Fredericksburg and Potomac Railroad. 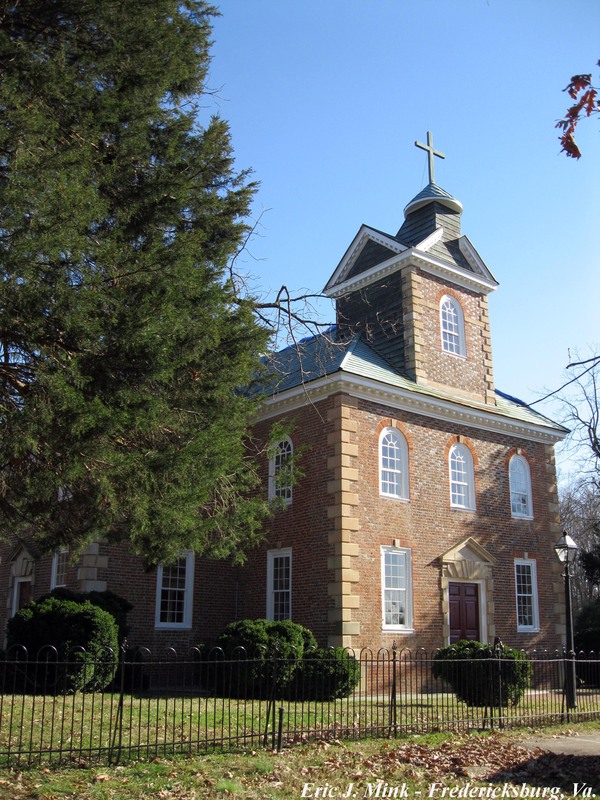 Aquia Church – Stafford, Va.
Reverend Henry Wheeler, Chaplain of the 17th Pennsylvania Cavalry, seized the opportunity to use the church for its intended purposes. In addition to church services conducted by Reverend Wheeler, funeral services for soldiers who died in camp also took place within the church’s walls. After the war, the remains of six indentified, and six unknown, Union soldiers were removed from the grounds of the Aquia Church and reburied in the Fredericksburg National Cemetery. The interior of Aquia Church appears to have been regarded with some respect. The outer walls, however, continued to be fair game for a growing list of visitors. 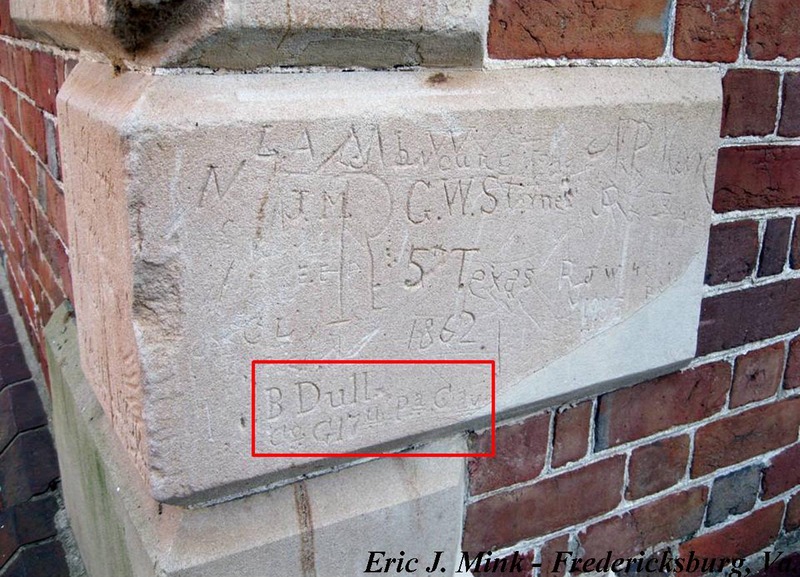 At least three of Colonel Devin’s trooper left their names carved in the soft sandstone, right next to the names of their enemies who occupied Stafford County the previous winter. Charles Wilson Van Epps was born July 7, 1838 in Middlebury, Wyoming County, New York. He married Adaline Chase on January 10, 1860. Charles enlisted in the Union Army on September 20, 1861 in Warsaw, New York and mustered in as a private in Company A, 9th New York Cavalry. Charles had an uneventful military career until being wounded on June 9, 1863 at Beverly’s Ford during the Battle of Brandy Station, Virginia. From that point until he mustered out in October 1864, Charles spent time in various hospitals, recuperating from his wound or battling illness. After leaving the service, he returned to his wife in New York and settled into the life of a farmer. The 1890 Veterans Census lists Charles as suffering from kidney disease. 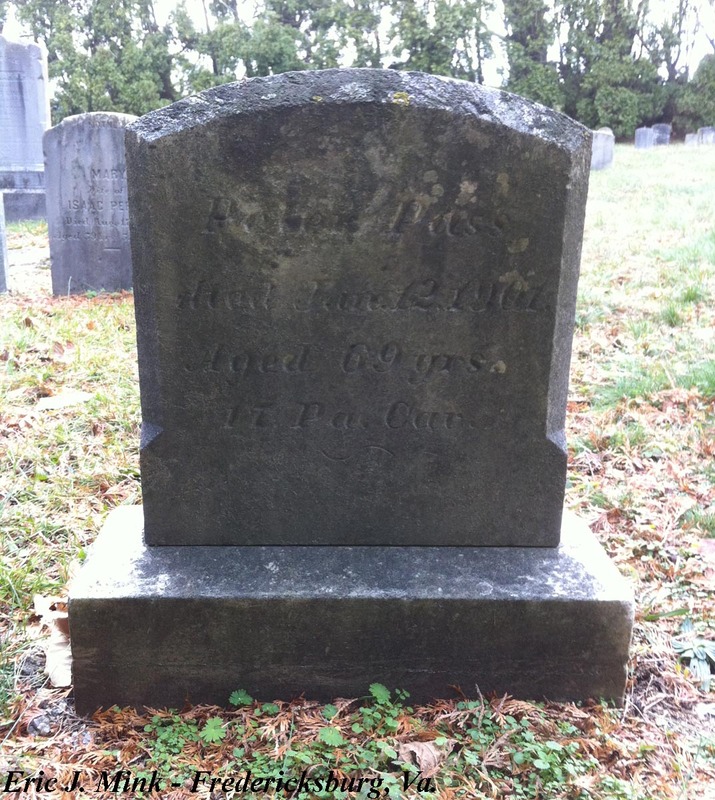 Adaline died on October 13, 1899 and Charles went to live with his daughter’s family in New Britain, Connecticut. He died there on October 7, 1912 and is buried in the Middlebury Cemetery in Wyoming County, New York. In the postwar recounting of this incident, Dull appears to have been forgotten. He apparently did not return, as his was listed as having deserted on June 29, 1863. He never returned to the regiment. After the war, Benjamin and his growing family moved to Ashland, Ohio where he made a living as a millwright. In 1889, he tried, unsuccessfully, to have the charge of desertion removed from his military record and to receive an honorable discharge. No doubt, this request was made in an effort to obtain a military pension. Benjamin Dull died on August 28, 1925 and is buried in Ashland Cemetery in Ashland, Ohio. Peter Pass served in the same regiment and company as Benjamin Dull. Peter was a 28-year old laborer living with his mother near Fairfield, Pennsylvania when the war began. He enlisted on September 13, 1862 in Franklin County. He mustered in as a private in Company G, 17th Pennsylvania Cavalry. Peter’s military record indicates a rather healthy service, having only been admitted to a hospital once and no wounds received in battle. Since his service record does not indicate otherwise, Peter more than likely participated in the July 1863 Battle of Gettysburg, just a few miles from his home. Peter received a promotion to the rank of corporal in March 1865 and mustered out of service two months later. He returned home and lived with his mother until her death in 1879. Peter lived the remainder of his life in the small village of Orrtanna in Adams County, Pennsylvania, never marrying and making a living as a charcoal burner, as well as a day laborer. In 1893, he received a military pension for rheumatism, which was increased three years later due to “disease of digestive organs.” Peter Pass died January 12, 1901 and is buried just a few feet from his mother in Chamberlain Hill Cemetery, outside Orrtanna, Pennsylvania. Grave of Peter Pass – Orrtanna, Penn. 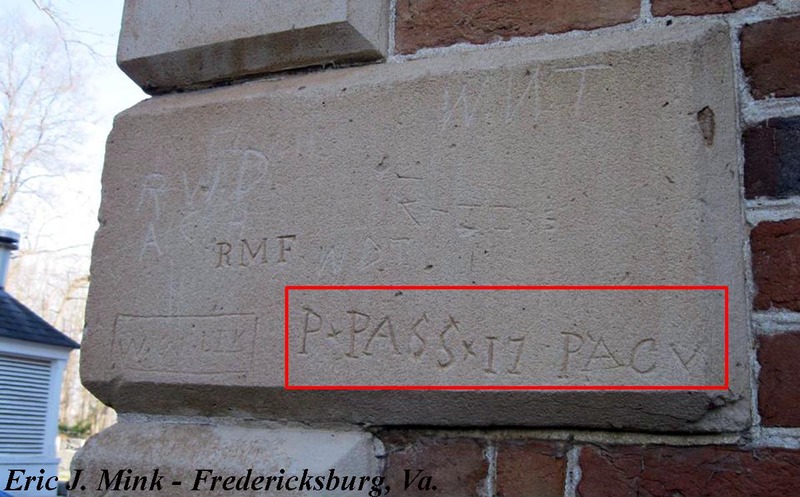 One final forthcoming post will wrap up the documentation of soldier graffiti at Aquia Church. We’ll identify two Union infantrymen who contributed their names to the walls of this historic church. In the second paragraph that should be “Richmond, Fredericksburg and Potomac Railroad” rather than “Rappahannock,…”. Thanks for picking up on the error, Jay. Correction has been made.